BETHESDA, Md., March 20, 2018 – ROSS Management Services, a leader in multifamily property management in the Mid-Atlantic region, today announced the promotions of Tony Perichino to vice president of residential operations and Jeff Lawson to assistant vice president of residential operations. 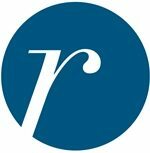 Perichino will work closely with the ROSS executive team to promote the company and to help grow its third-party management portfolio in the Washington, D.C., metropolitan area and throughout the Mid-Atlantic region. He will also continue to oversee Seven Springs in College Park, Md., and Versailles in Towson, Md. Lawson will remain focused on building and fostering the company’s relationships with third-party owners. Perichino joined ROSS in 2017 as assistant vice president of residential operations and brings more than 20 years of multifamily and commercial real estate experience to his new position. Lawson has been with ROSS since 2015 and has more than 25 years of property management experience. Since rejoining ROSS in 2017 (he had previously worked as a regional property manager for the company), Perichino has taken on several challenging assignments. Prior to rejoining ROSS, Perichino served as director of residential management at The Tower Companies, where he oversaw $503 million of mixed-use real estate and served on the company’s Executive Committee. He has previously worked as a regional manager for Riverstone Residential/Greystar, and as an investment manager and regional education director for Pinnacle Family of Companies, where he received notable accolades, including the 2010 Investment Manager of the Year. Some of Lawson’s notable renovation projects at ROSS include Seven Springs, Crestleigh in Laurel, Md., and Charlestowne North in Greenbelt, Md. He previously worked at Asset Fund Services LCC and spent more than eight years at Washington Real Estate Investment Trust directly overseeing the residential division. Perichino and Lawson have received their promotions at a time when ROSS is focusing on expanding outside the Washington, D.C., area and strengthening the corporate brand.